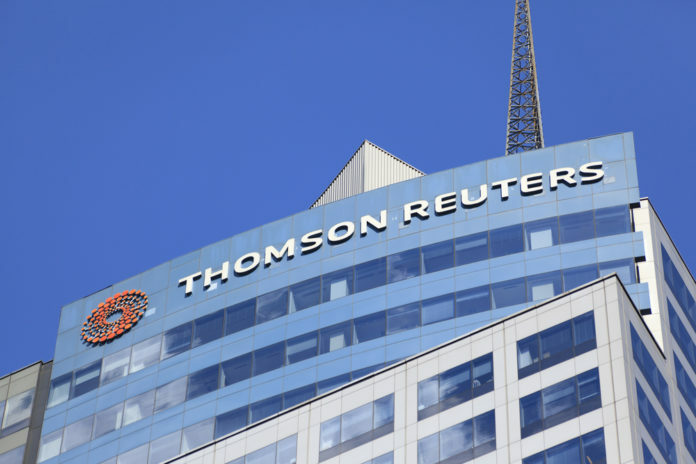 Mainstream media company Thomson Reuters has secured a patent for a blockchain-based identity management system, as evidenced by US Patent and Trademark Office documents released on April 2. The patent, originally filed on Dec. 22, 2015, describes a system that provides a service with which to receive an identity from an identity provider system as well as validated data about the identity and then in a blockchain in an identity token can be stored. In addition, the patent also describes other variants of this method. Variants of this are, according to the document, for example, the use of a smart contract for transactions, the hashing of identity data or limited access to the system used, in which then an access authorization must be detected accordingly. Some of the 38 described variants, some of which change the nature of the on-chain stored data, such as biometric data or the address, include various authorization and identity verification methods. The document claims that traditional identity systems are “susceptible to fraud as technology evolves to falsify such identities.” The patent also explains that the many existing identification systems would create an inefficient and fragmented environment for identities. According to Crunchbase, the annual turnover of Thomson Reuters, which also includes the world-famous news agency Reuters, is equivalent to around 7.5 billion euros. Since June of last year, the company’s sentiment data tool now includes sentiment data for the top 100 cryptocurrencies.